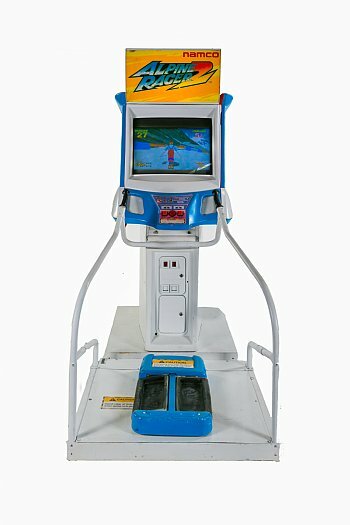 In this arcade game ski simulator guests choose their skier and then choose their skiing style; racing, mogul or freestyle. Once the choice of style is made then the level of difficulty is selected depending on your ability. 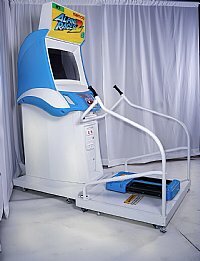 Guests move the skies of alpine racer arcade game and can use the edges of the simulated skies to cut thru the snow & ice as they proceed down the mountain. 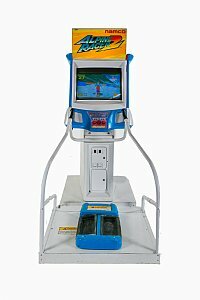 Individuals of all ages enjoy this ski simulator and this particular version of alpine racer arcade game rental allows it to be linked with another alpine racer arcade game to compete against another guest. 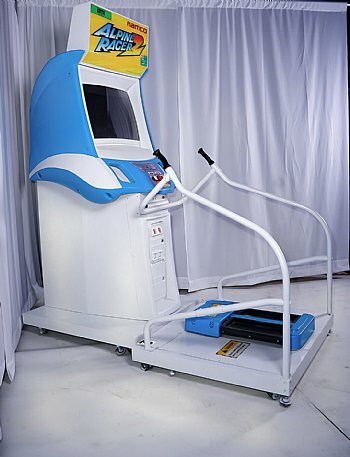 A comprehensive makeover of the alpine racer arcade game was recently completed. This makeover included a total new snow look to better represent the winter them of this arcade game.